I am using part of my time while a resident artist at TAC this spring to explore the multitude of ways in which artists/designers/crafters use our processes of making textiles to engage in social change (part of my masters thesis at NYU). 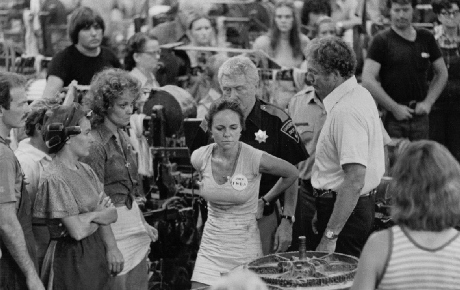 As I do so, I’ll also share some of what I am thinking about here on the TAC blog, discussing artists, events, projects, books, social movements, and resources. Textiles and garments—through their production, circulation, consumption, and use— have played a central role in social change for centuries. I’m sure I don’t need to tell any of you reading this that not unlike food, textiles are a consistent part of our lives: a fundamental human need and an important marker and driver of culture. The farms on which fibers are grown and the factories in which textiles and garments are produced have been sites of terrible abuses but also sites for important moments in the history of labor activism. This makes it a particularly rich place from which to ask questions about what is happening in the world today. If you have suggestions for anyone or anything you think I should look into, by all means send them my way! I value all of your comments and contributions. While helping out at TAC’s mending circle this past Sunday, Owyn, Isa and I were contemplating organizing movie nights at TAC. So I thought for this first post I would share some of my favorite textile-related films that also offer a precursor to themes for future posts. Please do add your movie recommendations in the comments. A powerful film about the women of a family descended from slaves who worked on the plantations that grew indigo, cotton and rice. It takes place on the Sea Islands, where ships first dropped off slaves for quarantine before they were sold on the main land. In addition to a different view on an important part of textile history, the costumes themselves—the white dresses of the younger women and the deep indigo of the matriarch—are a striking part of the story telling. 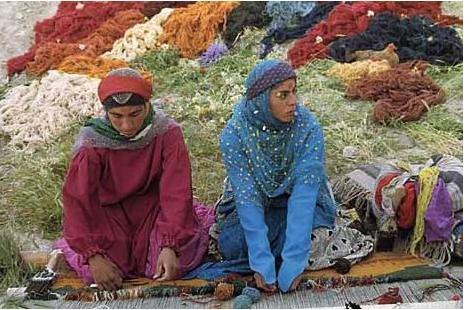 A Gabbeh is one kind of handwoven Persian rug, and in the film, Gabbeh is also the name of a young woman who mysteriously appears and becomes the protagonist in the film. The entire film is filled with images of the process of rug making, often used to tell part of the story of the human characters: collecting plants for dyeing, shearing goats, dyeing and spinning yarn, and weaving. 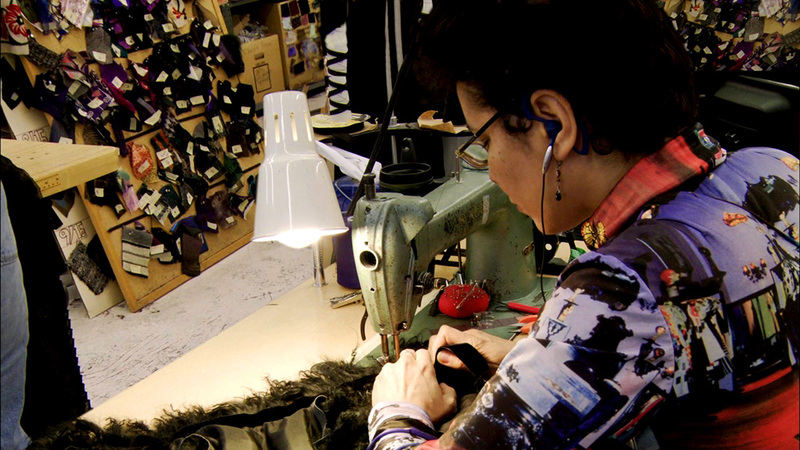 A documentary on the history of the New York garment industry with a focus on its decline over the last 30 years in the context of global trade, the move of manufacturing overseas, and the continual search for cheaper labor. A dream-like Japanese film of two junk-collecting women whose latest find are several balls of bright red wool. This acquisition also attracts a girl who spends the movie obsessively knitting a long sweater, then unraveling and re-knitting it again and again. 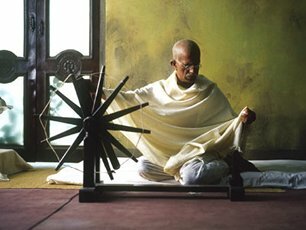 Cloth played an integral role in India’s struggle for independence from Britain, something captured in great detail in this epic film, from the Indigo farmers who first tell Gandhi of their poverty to his promotion of Khadi cloth for both symbolic and economic reasons. 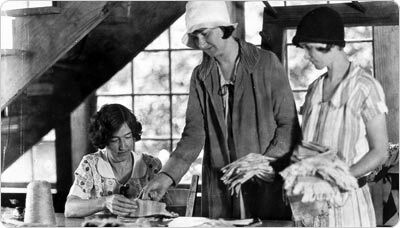 One of my favorite films about organizing, based on a true story, a single young mother and textile worker organizes a garment factory in Alabama. I haven’t seen this yet but its getting great reviews and looks like an important comment on the classification of garment work as supposedly “unskilled.” Also based on a true story, this is about the 1968 strike of 187 sewing machinists that eventually led to the Equal Pay Act. Craft in America is a PBS series that covers much more than textile crafts and their first season is available to watch online. For those interested in fiber, I particularly love the first part of the third episode on quilting and community and about the creation of the Penland School in North Carolina. * The title of this column is a play on “Bread and Roses,” a phrase taken from a poem and used to refer to the 1912 textile workers strike in Lawrence, Massachusetts. 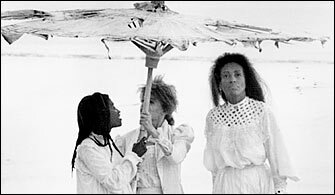 The call of women marchers, “We want bread, but we want roses too,” is said to be a call for dignity as well as fair wages, that life should be beautiful as well as just.